One of the biggest things that tend to get taken advantage of in the US is the accessibility to amazing artists. You have some of the largest music festivals in the world, as well as some of the best musicians, actors, and actresses in your backyard (if you're lucky enough to live in Southern California). I never realised how easy it was to last minute get tickets to a concert or go to the improv to see some big name comedian perform. It happened so frequently, I began thinking this was the norm for everywhere. WRONG! Fast forward about two years and the struggle has become a reality. When American artists travel to Australia, it's normally for one show, the prices are outrageous, and everything sells out within the day. 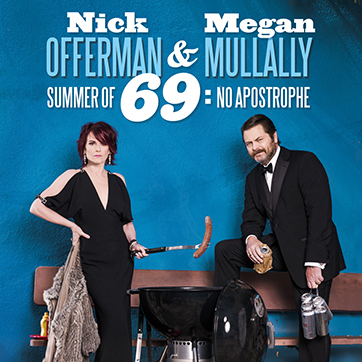 Imagine my joyous delight when I saw that Nick Offerman and Megan Mullally were coming to Australia! I literally jumped for joy screaming that one of my favourite comedians and his wife were coming to Melbourne to perform. That joyous delight was very quickly crushed when I went to purchase tickets and found they were ALL SOLD OUT! The horror! My positive attitude towards Australia quickly turned into one of rage. Why were they only doing one show in Melbourne? That's not fair (yes I realise I sound like a whining child)! But clearly, these two care about their fans because alas, they decided to do another show! I was not going to miss out on purchasing tickets to this show. So both my partner and I stopped what we were doing at work to try and get these tickets when they went on sale at 10 am on a Tuesday. Jackpot! We scored two tickets! All was right with the world! A few weeks before the show we received an email stating that there had been a change to the show. My heart sank. I was afraid that this powerful Hollywood couple was deciding that the land of kangaroos and boomerangs were not for them and cancelling their show. Luckily (well actually quite sadly) the change was that Megan Mullally would not be performing and instead Mr Offerman would be performing his Full Bush show. Score! Before the show, I had re-read, scratch that, I was serenaded by the lovely voice emulating from the oesophagus of Nick (Can I call you Nick? I feel like we'd be on a first name basis) while listening to his books Paddle Your Own Canoe and Gumption. If you have not read and/or listened to these two hysterically educational books, I kindly suggest you stop what you're doing and go purchase them. Once finished, come back to this post and continue reading... Great, you're back! Paddle Your Own Canoe was great preparation for what I could expect from Nick's Full Bush show. Sir Offerman does not conduct his shows like typical comedians. He does not stand up speaking into a microphone the entire length of the show. 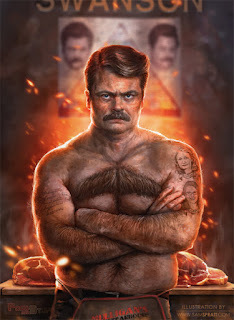 If you go to his shows expecting him to be Ron Swanson, you're going to be disappointed. As his background is in the theatre, his performance was more, well, theatrical. There was singing, there were jokes, and there were heaps of references to home. That probably made me the happiest. I got the jokes about Australia, and I got the jokes about America. I probably laughed about the American jokes more than most in the audience, and I definitely laughed harder at the jokes referencing being an American in Australia. Not only was it hilariously entertaining but I also learned heaps about Australia. I must say after the show I am now quite disappointed that I did not grow up in Australia, missing out on the tradition of growing up with your own koala (By the way, my partner named his koala Keith). And perfectly, Nick closed the show by singing 5000 Candles in the Wind. At the end of the show, Nick left us with the glimmer of hope that both he and Megan would be coming to Australia next year so that we may finally be able to see their Summer of 69 show. I must admit, I am eagerly awaiting when those tickets go on sale. After seeing Nick live and reading his books, I can only imagine the supreme level of awesome that those two would produce on stage. Have you ever seen your favourite comedian perform live? 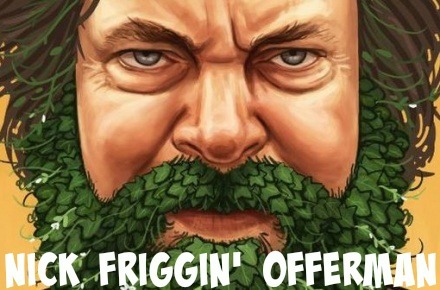 Have you ever seen Nick Offerman perform live? Tell me all about it in the comments! I have never seen either perform, but I have seen some other comedian shows. Megan Mullally is awesome. Hope you get to see her next year. As someone that goes to a lot of concerts, I am sorry to hear that it is difficult to get tickets in Australia. Best of luck scoring tickets to the next one! I always liked Megan Mullally as well. 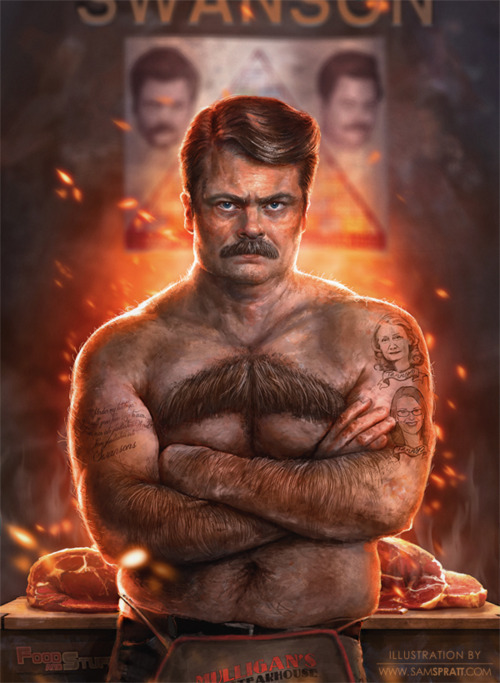 After reading Nick Offerman's book, I think I like her even more now! I have always wanted to see Gabriel Iglesias live but have never had the chance to see a show. My bf is a big Nick Offerman! I love Gbreil Iglesias! I would love to see him live as well. I'm not sure I've heard of either of those comedians but I will definitely have to look them up! I believe Billy Connelly was here in Melbourne during the comedy festival. Very entertaining! I will have to check them out.